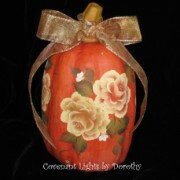 Every Fall I try to find some faux pumpkins to dress up with my hand painted shabby roses. A wonderful reminder to be thankful. 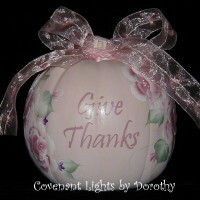 Base coated in soft pink, this lovely faux pumpkin comes with a reminder to us all to Give Thanks. My large shabby pink roses and dainty violet filler flowers surround the hand painted words "Give Thanks," with a beautiful glittery bow tied around the stem. The bow can be turned from front to back so you can keep this decorative pumpkin out all year! For years of enjoyment, pumpkin has been sealed and can be wiped clean with a soft damp cloth. 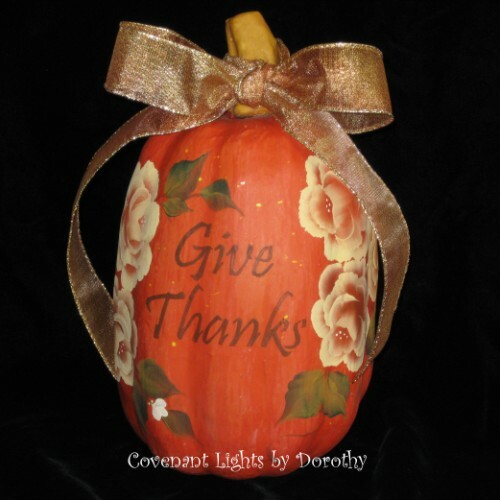 This lovely orange faux pumpkin comes with a reminder to us all to Give Thanks. My large shabby roses surround the hand painted words "Give Thanks," with a beautiful glittery bow tied around the stem. 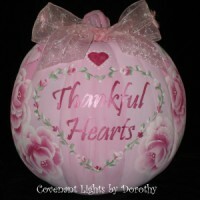 Out of my thankful heart came the design for this lovely hand painted faux pumpkin. 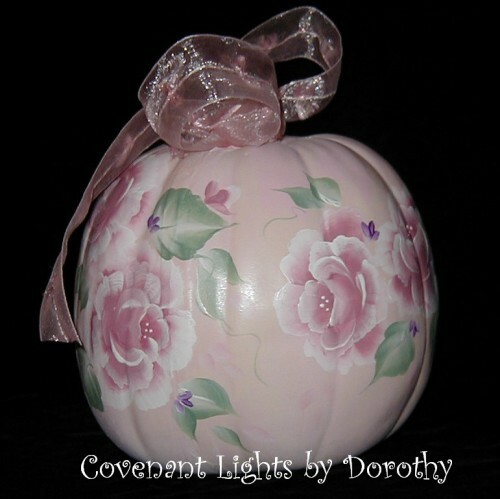 Base coated in soft light and medium pink stripes, this pumpkin comes with a reminder to us all to be thankful. 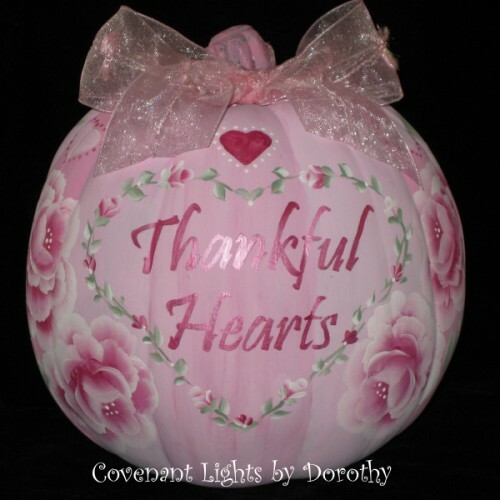 Small rosebuds in a heart shaped vine surrounding the words "Thankful Hearts." Big shabby pink roses and hearts around the rest of the pumpkin, and a ribbon bow with a center wire. 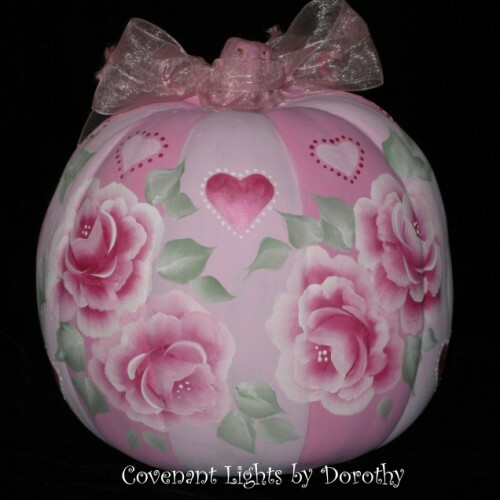 Bow can be turned from front to back so you can keep this decorative pumpkin out all year!